So unfortunately one of the side effects of losing two babies in less than one year (June 2012 and March 2013), is that when you finally get pregnant again, you tend to spend any free time you have in the doctor's/midwife's office or worrying when you aren't. So I have been trying to keep my hands busy with lots of crocheting. 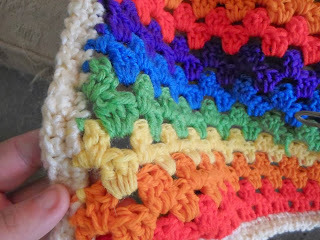 The upside to this is lots of fun projects come out, the downside is I haven't been blogging. I really do want to chronicle this baby's journey with you all though so I will try to post more from now on. We have our 9 week ultrasound today. Hopefully we will get a video of the heartbeat as well as pictures of the baby. I am hopeful for this little one. Each day I am still pregnant is a day we rejoice. If everything goes well for us today we will be rejoicing the rest of the week. 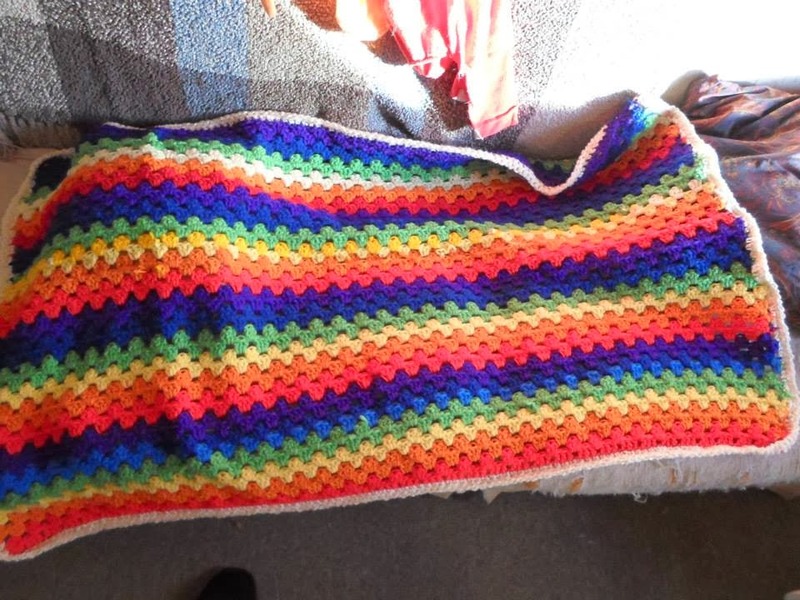 So anyway when I first found out I was having a rainbow baby, I started a crocheted rainbow baby blanket. Well I finished it a few days ago and I would like to share some pictures. Here it is. 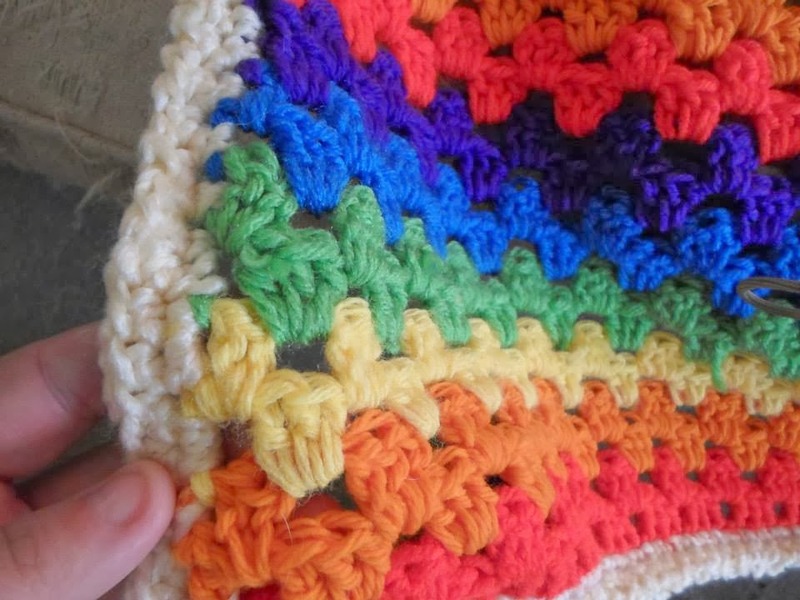 It is not baby yarn sadly but I did find a tutorial on how to soften regular yarn to be like baby yarn. I tried it and we shall see the results when it comes out of the dryer. Well I hope to be posting good news tonight. Until then.. have a great day!